Any and all questions are greatly appreciated! Send me a trainer comment if you'd like me to return the favor. what is your favorite pokemon? and is your favorite type flying? (08-03-2015, 05:08 PM)Gengar Wrote: what is your favorite pokemon? and is your favorite type flying? why is togekiss your favorite? Do you have Super Smash Brothers? Do you know what a figma is? (08-03-2015, 07:38 PM)Gengar Wrote: why is togekiss your favorite? (08-04-2015, 01:05 AM)✯Ho-OhLugia✯ Wrote: Do you have Super Smash Brothers? Yes, I do have SSB! I have it for the 3DS and I used to have it on the Wii, too. I love love love the new one! It's so much fun! I mainly play as the villager. No, I'm afraid I don't know what that is! I had to google it, I'm assuming you're referring to the Japanese action figure line? They look very cute! If you had to choose five favourite Nintendo characters, who would they be? Do you read Pokemon Adventures Manga? Oh my gosh, yeah. So much. 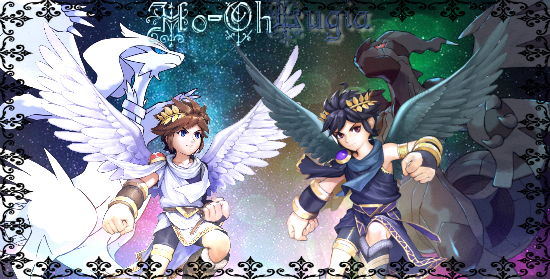 (08-05-2015, 04:08 AM)✯Ho-OhLugia✯ Wrote: If you had to choose five favourite Nintendo characters, who would they be? If we're going based off of this list, then I would pick..
And yes, I have read some of the manga! It's awesome.